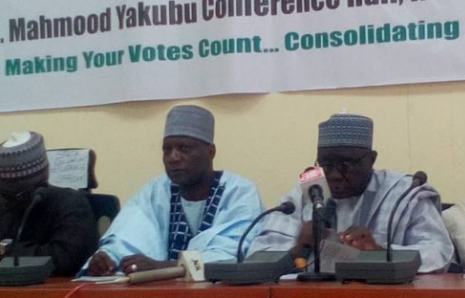 The Independent National Electoral Commission (INEC) has resumed the collation of the supplementary governorship election results in Bauchi state. Festus Okoye, a national commissioner of INEC, disclosed this on Monday evening. He said the commission will conclude the remaining result from Tafawa Balewa LGA and announce the winner of the election to the office of Bauchi state governor. INEC is resuming the process hours after a federal high court in Abuja struck out a suit seeking to stop the collation, which was filed by Mohammed Abubakar, Bauchi state governor and candidate of the All Progressives Congress (APC), who was trailing the PDP's candidate, Bala Mohammed.